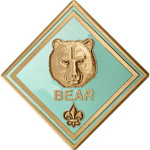 For Cub Scouts who are 5 or in Kindergarten. To begin his path to the Lion rank, the Lion will be introduced to the Cub Scout promise, the Cub Scout sign, and the Cub Scout salute. 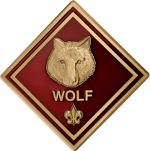 To earn the Lion badge, a Cub Scout must complete five adventures. After he has earned the Lion badge a Lion can work on the seven elective adventures. 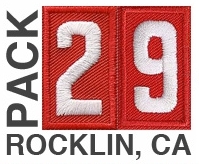 For Cub Scouts who have finished Kindergarten. To begin his path to the Tiger rank, the Tiger must learn the Cub Scout promise, the Cub Scout sign, and the Cub Scout salute. 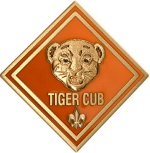 To earn the Tiger badge, a Cub Scout must complete five achievements. After he has earned the Tiger badge a Tiger Cub can work on the fifty electives to earn Tiger track beads.